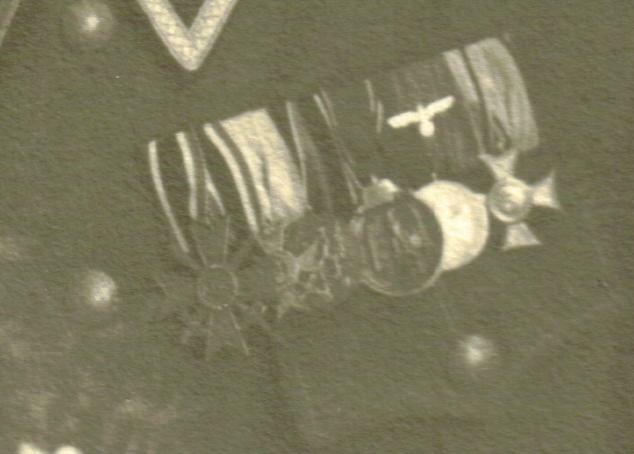 I think we don't yet have a thread dedicated exclusively to photos with mistakes in ribbon/medal bar wear - if there is one, please correct me. I don't know either if I showed this one here by now?! "I don't care what people say ... "
I haven't done any MEDAL bars in the baaaaaaaaaaad original ribbon bars section because that's outside the scope of that ongoing endless work. This is all very interesting, but could you more knowledgable folks let us ignorant ones in on why these medal bars are baaaaaddd??? if we did not have original period evidence that such errors were actually worn. Sascha, is that Feldwebel Himmelstoss? Yeah, that's the point. 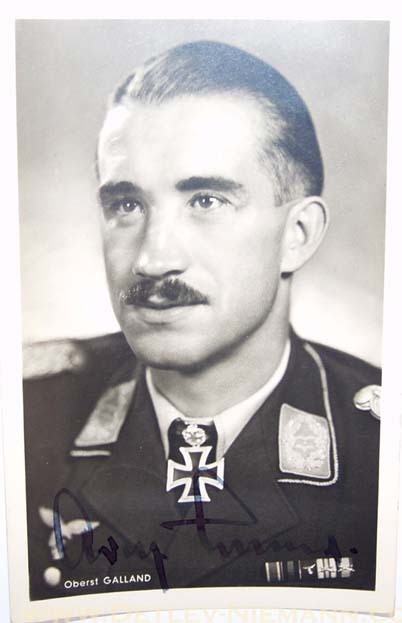 Look here: Galland wears his Sudeten medal before his LS decoration - contra regulations. 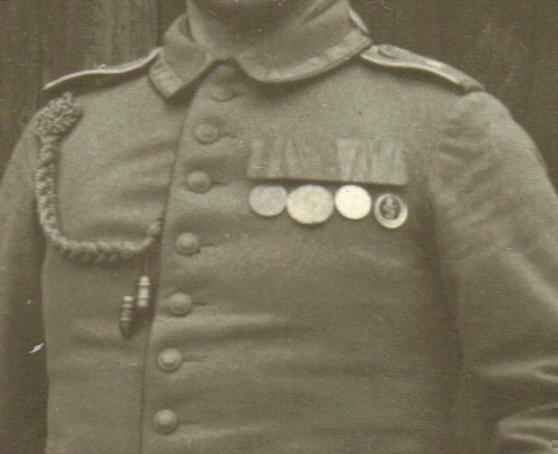 Well, I wasn't sure, but I thought those oak leaves looked strange on the WW1 Baden merit medal. I've seen that, too. What lunatic is that?? Makes me consider giving up on spotting fake bars!! I wonder how these mistakes occured. 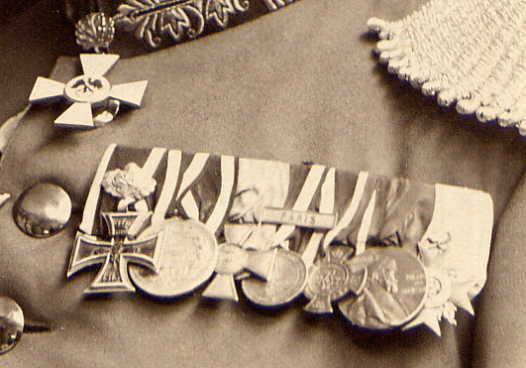 When a ribbon bar or medal bar was ordered from the maker did the person buying the bar tell the maker what order to put the medals or ribbon in, or did the buyer expect the maker to know the correct order? So who screwed up - the buyer or seller? You would expect the buyer to know the correct order and when he received the bar he should have seen it was incorrect. 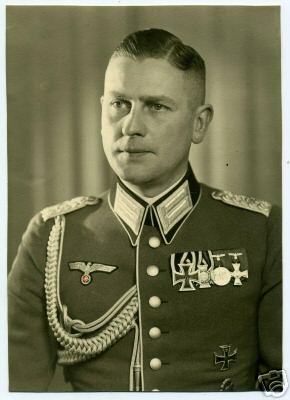 I "like" the Wehrmacht 4 sandwiched between the same Red Eagle ribbons for the AllgEZ and the Red Eagle Medal. "Wehrmacht 12" Yes yes yes. My brain is stuck in RUSSIAN, and I am skimming things too quickly. 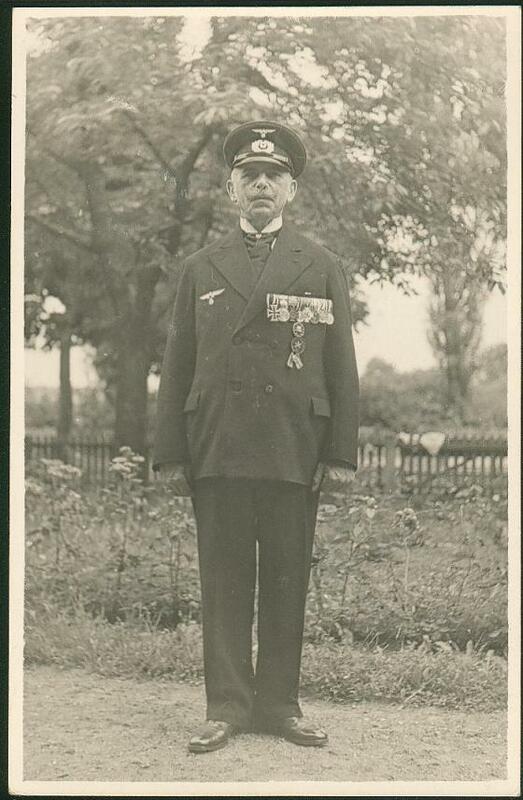 I think I see here: KVKx, Bulgarian Military merit cross,Sudetenland medal, Ostfront, 12 year Ls and Austrian 5 year LS. Yeah-well, at least he's got the KVkx in the right place too. 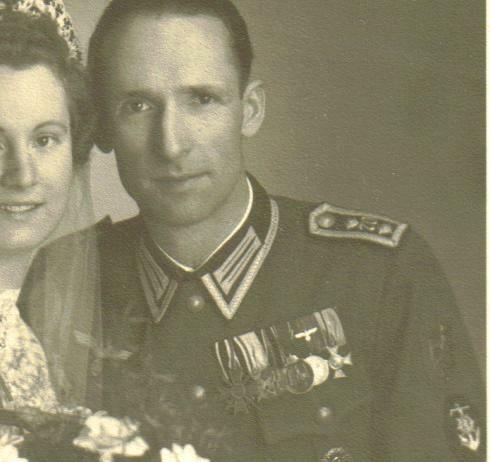 The LS medals are ok as Austrians were allowed to wear one Austrian medal in tandem with their Wehrmacht LS medal. Note he has a krim shield and a "70" on his shoulder tabs, along with a navy (signals?) patch. That's the army engineers assault boat helmsman's rating on the sleeve, so this is a pioneer in some unit numbered 70-- PRE-WAR style straps. KVK2X, Bulgarian SCfB, Sudeten, East 41/42, Wehrmacht 12, Austrian Bundesheer 5. 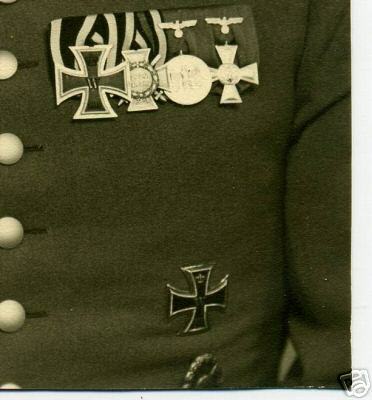 That is how Bundesheer NCOs wore two awards, but everything BUT the KVK2X is in the wrong precedence. I wouldn't buy that medal bar, even WITH period documentation. My sense of "order" is just too upset. 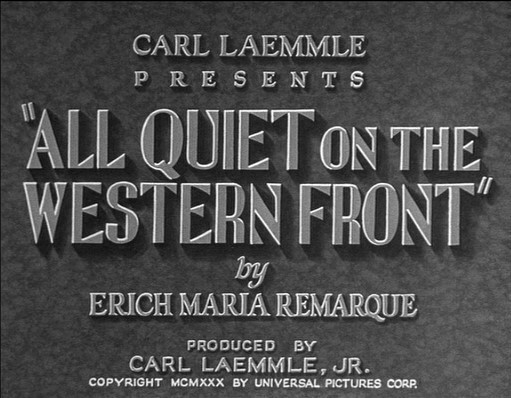 Quick, someone-- fetch the smelling salts! Ah feel all come over with thuh vapors!!!! Here another axample of an outfitter?s ignorance. 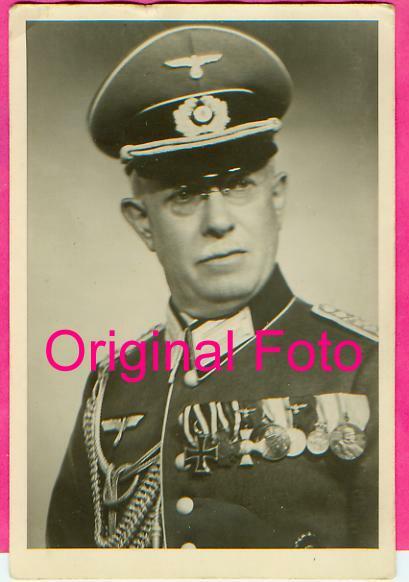 The owner was Ernst August Anton Wilhelm Timpe, jailinspector of the jail in Jever/Oldenburg. 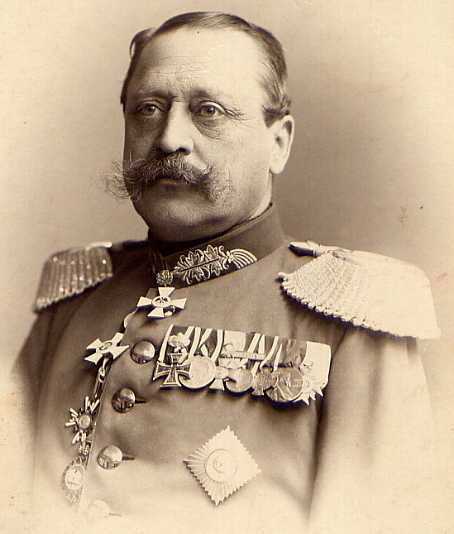 Herr Timpe won the EK2 as an Unteroffizier in the Hannover. Feldartillerie-Regiment Nr. 10. 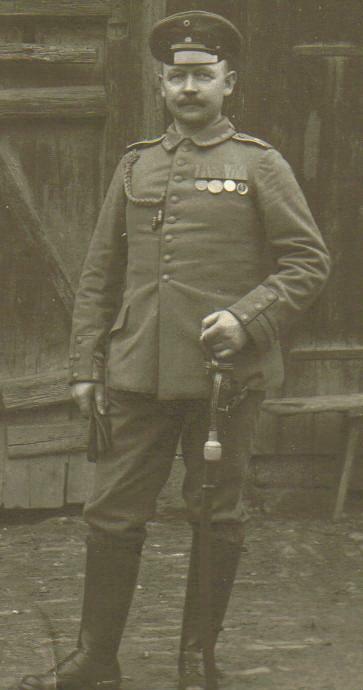 In it one Feldwebel K. Scheuerwair of the 2nd Batt. Landsturm Fuss. Art. Batl.14 said basically, "Hi, things are great here-uh-how are you?" But note his medal bar, which Rick and I pondered over at length with magnifying glasses and illuminated jewelers' eyes and alarming the lady who sold it to me (and probably ensuring that anything I ever buy from her again will cost double or triple the amount). Driving home the answer came to me...frack bar...very odd. But what is medal #3 (from the left)? It WOULD be in correct order... if worn as a civilian Frackspange! I betcha 3 is ALSO a baden long service medal-- and he had a regular army IX and a Baden LD2.